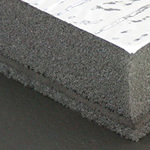 Use dedicated floor barrier materials to block road noise. Low frequency road noise is the largest contributor to the overall noise floor within the passenger compartment. 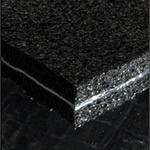 Specialized "floating" barriers are designed to block and reflect high energy soundwaves across a wide frequency range. 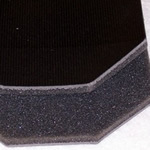 Long gone are the days of using multiple layers of heavy vibration damping sheets. 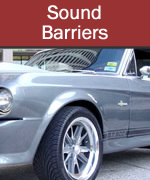 CAE offers a number of specialized barrier materials to help you reduce the time, weight and cost of making your vehicle as quiet as possible. 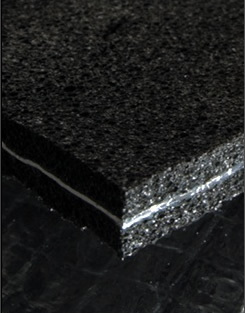 Please feel free to contact us with any questions you may have regarding the installation or application of barrier materials. 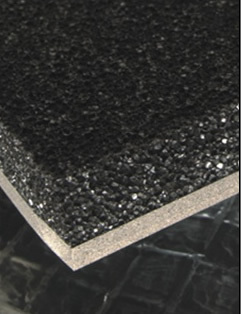 VB-4.5 is a lightweight, composite material with a flexible, loaded vinyl mass barrier, and a foam decoupling layer which reduces road noise by impeding the passage of soundwaves. This effective barrier is available in 90ft² rolls only.